While there were sections of the new live-action Dumbo movie that were good, I have to say that it felt as if something was missing. I am not sure that the variable that is missing is anything intangible or if it is just lacking some magic. Tim Burton directed the new take on the flying elephant and you can see those Burton-esque moments (especially in the second half of the film), but I have been having a difficult time putting my finger on why this movie just did not grab me the way I was hoping it would. In the updated story, soldier Holt Farrier (Colin Farrell) returned from war with a missing arm to find his two children Milly (Nico Parker) and Joe (Finley Hobbins) who had just recently lost their mother to an influenza outbreak. Circus folk, Holt was sad to see that the owner of the Medici Brothers Circus, Max (Danny DeVito) had sold the horses Holt used in his act to keep the doors of the circus open. Holt was given the role of elephant wrangler, which included the soon-to-be-born baby. When the baby was born and had gigantic ears, Max was angry and tried to make the best of the situation. Milly and Joe took to the elephant quickly and discovered that the large ears gave the elephant a certain advantage… an advantage of flight. When the elephant first started to fly, dubbed Dumbo, Max made a deal with entrepreneur V.A. Vandevere (Michael Keaton) to partner with him in a new deal…a theme park called Wonderland, with Dumbo the flying elephant as the main attraction. Soon, though, it is revealed that Vandevere does not have the best interest of the circus performers at heart. 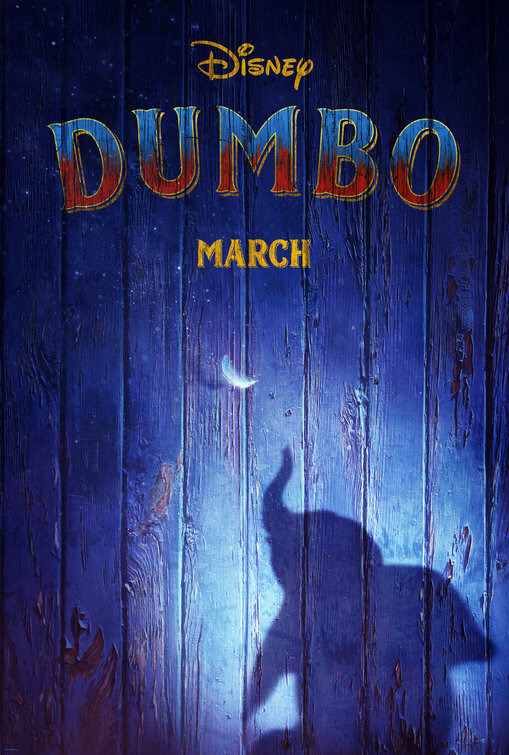 I had heard the rumors before, but I could not believe it was the case, but, after seeing this, Dumbo is absolutely the story of Disney taking over 20th Century Fox and Michael Keaton and Disney is portrayed as the villain in the piece. How subversive that is of Disney to put out a film that can be interpreted as painting them symbolically as the ruthless corporation that wants what it wants and discards the rest. Dumbo represents the Fox intellectual properties here such as the X-Men, the Alien franchise, the Fantastic Four etc. It was a weird feeling with this thinly veiled allegory happening. The whole Wonderland = Disneyland narrative was the second half of the film, but I was having issues with the first part as well. A lot of what happens in the first part of the story felt forced and did not make much sense. The inclusion of a character named Rufus Sorghum (Phil Zimmerman) is part of the problem. This character was so one note and villainous that I just could not believe it was a real person. The character, which plays a big part in the original inciting incident, is just too much of a cartoon villain. He may as well have been twirling his mustache. So much of the initial set up was tough to accept and that made the whole movie a challenge. I cannot believe I am going to write this, but I was so disappointed with the character played by Michael Keaton. This character was so over the top that he was also hard to believe in. Normally Michael Keaton is great in whatever he did, but this performance just seemed to stick out like a sore thumb and it was not good. The rest of the cast was fine. I’ve heard some negative comments about the kids’ performances, but I thought they were fine. They did not have to carry the film and what they did was competent. Colin Farrell was decent too. I liked Eva Green’s performance as Colette and I thought she dominated every scene she was in. While I did enjoy Green’s performance, I could have used some more interactions between Farrell and his kids over the loss of his wife/their mother. Farrell seemed to be moving along fairly quickly. There was one little scene near the end and I would have liked to examine that more. Danny DeVito was the best of the live actors in this movie. He was tremendous throughout as Max Medici. DeVito was the best part of the first half of the movie and the most consistent part of the second. The CGI of the film was great and Dumbo looked fantastic. The flying scenes were all just wondrous and came the closest to capturing the emotion and the magic that you would expect from a Disney movie like this. The first time we see Dumbo fly may be the best few minutes of the movie. Unfortunately, most of the rest of the film fell pretty flat for me and failed to build on these amazing visuals of the movie. There are scenes that were great in this film, but there just was not enough of them to make me feel the power that I thought it should have been.